More than 6000 users used the application developed by the Catalan partners in TV-RING. The action took place during the football match between FC Barcelona and AS Roma the 24th of November. TVC, the i2CAT Foundation and Cellnex Telecom conducted a new action in TV-RING, this time an open test of the multicamera service using DASH and 2nd Screen devices as controllers. 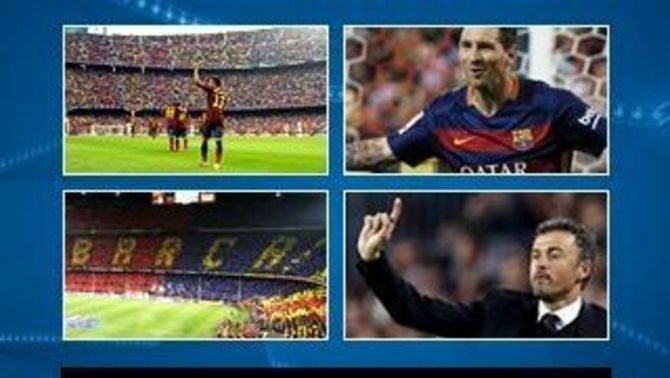 The service was accessible during the Champions League match that between FC Barcelona and AS Roma, on Tuesday 24th of November. All users in Catalonia, with a Connected TV with HbbTV 1.5, had the chance to chose the camera from where to see the match. Additionally, it was also possible to sync mobile devices with the service and use it as second screen controller. All the people using the service was invited to give their feedback using networks, a questionnaire and a twitter poll. Initial answers are positive and this action, that represented a serious challenge for the project, has been considered a great success. In parallel, this test was also conducted in the municipality of Gurb (Barcelona) with a user panel, that have been collaborating with TV-RING for the last 12 month.